ASYS Americas Inc. becomes exclusive distributor for the Dry Tower, automated storage and handling system, in the Americas. A Global Technology Award winner, the fully automated Dry Tower incorporates complete moisture management, floor life reset and traceability of MSL components, in addition to optimising the storage demands of different sized reels and trays. The Dry Tower is the central component storage system at the heart of ASYS’ materials logistics solution for manufacturing in 4.0 smart factories. Jos Brehler, Super Dry Totech Managing Director commented “We are very happy to be working with ASYS Inc. on the Dry Tower. We are entering a new stage of growth with the Dry Tower in the Americas so we need a strategy that can cope with the extra demands this generates. ASYS is well-placed to meet those demands, having a well-established infrastructure, comprehensive sales network and a wealth of technical knowledge”. The ASYS Group’s business activities are controlled from the company’s headquarters in Dornstadt near Ulm, Germany but a wide spread sales network and service centres in the Americas ensure local customer-focused service & support. ASYS will leverage its flagship American headquarters in Suwanee, GA, USA to manage projects. “ASYS has extensive expertise of providing electronics manufacturers with innovative manufacturing equipment for the electronics and photovoltaics manufacturing industry and we are thrilled to add the Dry Tower to our portfolio and take sales and support to the next level of its development in the Americas.” says Markus Wilkens, President of ASYS Group Americas. ASYS Group Americas was established in 1998 in Atlanta and is located today in 10 cities throughout the USA, Mexico and Brazil, with demo centres in Guadalajara, Marlborough and Atlanta. 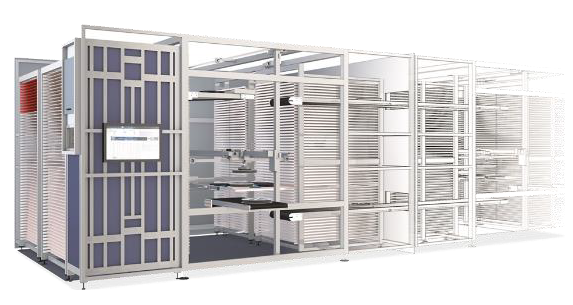 Delivering globally to the world’s top tier OEM and EMS companies, and manufacturing in Asia and in Europe, Totech Super Dry has become the industry measure for ultra low humidity storage cabinets. Proper control of moisture sensitive devices (MSDs) per IPC and JEDEC standards has become more critical than ever since the introduction of lead free and its higher reflow temperatures. Boasting <1% relative humidity control and the fastest recovery times, Super Dry cabinets are available in a wide range of sizes and configurations, all with certified performance control measures. Super Dry Totech Dry Tower Systems comprehensively solve the complex logistics problems central to manufacturing with moisture sensitive devices in 4.0 smart factories.